While it isn’t a first, there aren’t too many dramas that can survive the loss of their leading star and forge a new path. But thanks to Nadine Garner and producer George Adams that’s just what The Blake Mysteries is undertaking following the unfortunate absence of Craig McLachlan. Housekeeper Jean, who was always wise counsel to Doctor Lucien Blake, married her employer in the final episode on ABC. As fate would have it, it was just in the nick of time…. Now in its new home on Seven, The Blake Mysteries is a telemovie (with commercial breaks) but still in the world of Ballarat. It’s now 1963, Kennedy has just been shot and two years after his wedding Dr. Lucien Blake went missing, and has not been seen for 8 months. “The likelihood of him coming back is…” reflects Chief Supt. Matthew Lawson (Joel Toebeck). Indeed Matthew has moved in as a housemate of Jean’s, because mystery characters need sounding boards for their wild theories, right? In this opening chapter (only one of which is greenlit by Seven) there are three murders and Jean thrusts herself into helping solve them. If that sounds unlikely, remember that the genre loves instant private eyes whether as novelists (Murder She Wrote), psychics (Medium), illusionists (The Mentalist) or mathematicians (Numb3rs). Why not a plucky housekeeper? Never one to take no for an answer, Jean will protest. “I can do this. I know this town better than anyone,” she insists. True enough. But this is a show that needs a police surgeon too, requiring Dr. Alice Harvey (Belinda McClory) to step up for crime scene action as well as autopsies. There are also some fine new additions in the form of a smiling Constable Peter Crowe (Joshua Orpin) and local girl Amy Parks (Emma Annand). The cast also features Tom Wren, Gyton Grantley, Alan Brough, Julie Nihill & David Whitely. But it is Nadine Garner who makes this work. In the hands of veteran director Ian Barry she commits to this with such conviction that you can forgive the absence of McLachlan, at least for a first instalment. Garner keeps Jean as whimsical and driven, and frankly it should never have taken such circumstance for her to rightfully own top billing on a television drama. The production values from December Media are again top-notch with wonderful vintage costumes, cars, Ballarat locations and swinging ’60s hairdos. If I have any quibble it is that it is too peculiar that the inquisitive Jean does not head off in search of answers for her missing husband. There are questions there we would all like answered. Given the unusual context to this drama offering, The Blake Mysteries represents a leap of faith by everybody still involved. Will the die-hard fan-base accept this ‘new’ world and will Seven back itself for more? With Nadine Garner in the box seat you’d be crazy not to. The Blake Mysteries airs 8:30pm Friday on Seven. Seven has every episode of The Doctor Blake Mysteries…but this is nowhere to be found?!? I wondered about this too. I’ve only seen one episode. Was that all that has been shown? Yes just 1 telemovie, no more planned. I saw the Blake Mysteries: Did not like it, very lame. Without the Doctor Blake character, the story line was very weak. Expecting Dr Blakes wife to be part of an investigation, come-on, do you think we are all gullible to just accept the concept. I will not be watching anymore episodes. They should have ended the series and developed a new series and concept. Hi David….could you please have a look at the numbers and let fans know how The Blake mysteries was recieved. What is a good rating for metro Melbourne on a Friday night at this time of year? I want the show to continue and assume a big viewership is essential. Many fans are turning their back on the show, in supporting Craig. He can’t return unless the show continues….they just don’t get it. Thanks for your brilliant expert coverage….a media voice to trust. We have a fan group for the new telemovie. No discussion on Craig, only talk of the current show. Check it out. Blake Mysteries. A new beginning. The numbers are under Ratings section. Not too great in Overnights despite winning its slot. Need to see how it lifts in Timeshifted. It was a big ask all alone on a Friday night and Sunday would be been bigger. Entire episode was rushed and confused. Direction was lame, in fact it was bedridden! Posturing , grandstanding, and cliches abounded. There is a very strong need to get good theatrical practice into the production of this mish mash, before it is too late. I am not attacking this production for superficial reasons, I am genuinely wishing for the kind of effort and deviotion to drama that the craft so richly deserves. Started off well but they waited 90m before they explained where Doctor Blake might by, and why Jean was suddenly a Forensic expert and brilliant detective. The ending was rushed and confused in tying everything up in a few minutes. Then they tried to reset the show as close to it was back in S1. The ratings weren’t great and Seven have hedged with new Miss Fisher to try and get some of their murder mystery audience watching their main channel on Friday night. They have also bought repeats of Frankie Drake (The Canadian Miss Fisher) to fresh up 72. I don’t see it being worth continuing with McLaughlan. It was okay, but I didn’t love it. Storyline was all over the place and very hard to follow. Didn’t offer any real explanation as to the Doctors departure, in fact they barely mentioned him which I felt was strange. Probably wouldn’t watch it again, unless they bring Craig back. Minor point in your article – “It’s now 1963, Kennedy has just been shot and trouble is brewing in Korea.” Vietnam is meant I assume? There was a quick newspaper headline referring to Korea, but maybe I misread it. I’ve deleted the reference to avoid confusion, thanks. Dr Blake was always my least favourite part of the previous iteration, so to have Jean and Alice bumped up makes this a must watch for me. I hope Seven follows through with more episodes. I have to agree. Jean was always too much in the background on the old series for me. 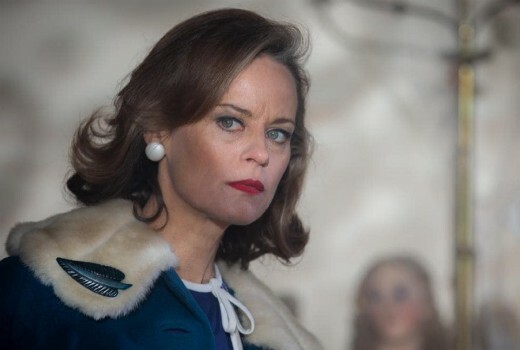 I’m hoping that she manages to shine in this series as Nadine Garner deserves her own series. We will certainly be giving the new Blake a go. The uncomfortable loss of Craig is to be instantly accepted and forgotten. Good drama , in our minds , will always be welcomed before shows that manipulate us, with set up kitchen bitching or unnatural dating. –Go Nadine , show us that there is still someone somewhere , that can make good television viewing. That, has been getting slim lately. Thank you for the review David, am looking forward to this.